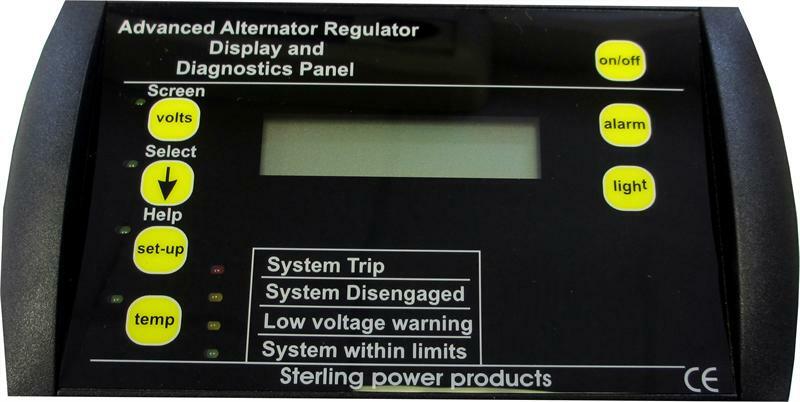 Sterling Advanced Alternator Regulator Remote -works with our ProReg-D and ProReg-DW Models only. The new remote control gives active information on the L.C.D. 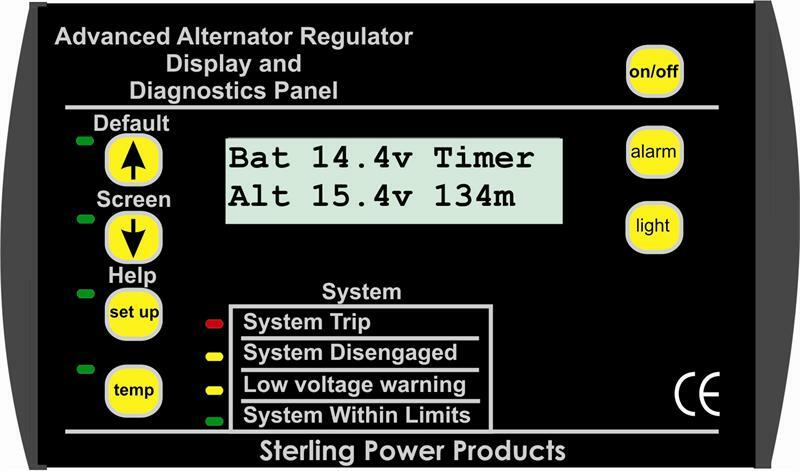 display such as Alternator voltage, Battery voltage, Alternator temperature, Battery temperature, set up details, time remaining on high charge etc. This unit not only displays all the fault conditions but also gives a detailed text scroll on the screen about the faults and what to do. 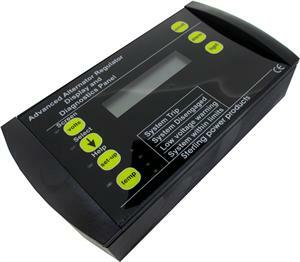 Thus, ensuring on hand information in the case of a problem, even with the advanced regulator being switched off, a voltage display and alarm function is still in operation, making the unit useful at all times. A simple plug in lead ensures simple plug and play operation. The unit can either be panel mounted, flush mounted or surface mounted.